Yes! it’s Dad’s day again and we’re offering a cheeky tribute to the humble sausage. 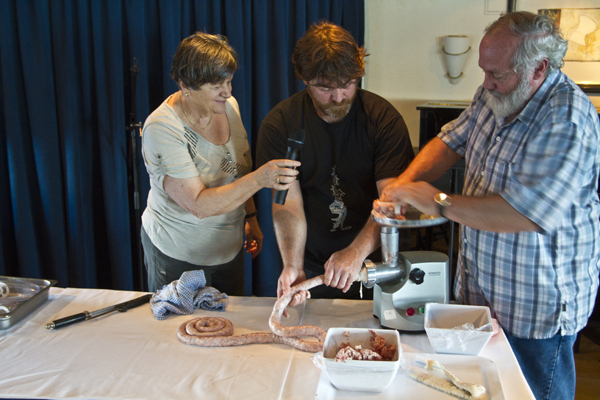 10.30 am and 12pm: The Art of the Sausage: Learn how to make your own gourmet sausages with a free workshop with Bruny Island legend, Gourmet Farmer team member, and awesome Dad Ross O’Meara (also known as ‘Rossage’). And he’ll be selling his delicious Bruny Island pork products too. 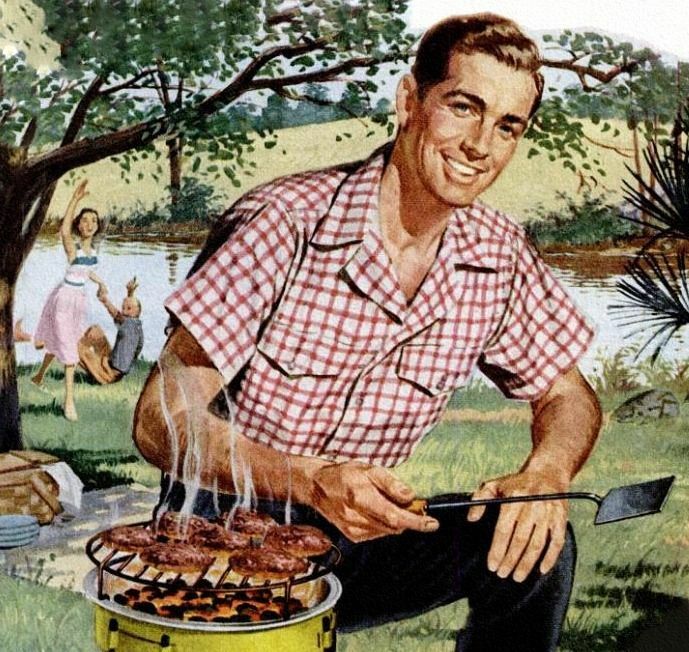 10 am – 1pm Proper campfire style sausage sizzle over the grill, with local meats, eggs and bacon, onion rings – cooked by local Dads. Better than Bunnings. From 11am Sausage eating competition for Dads and kids. Chipolatas vs Wieners. From 11am Sausage Hop – kids dress up as a sausage and race for prizes – ‘silliest sausage’, ‘most innovative flavour’, etc. Next in line to become an Olympic sport. 10am – 1pm Dads’ Bar – A cosy pop-up pub in rustic surrounds with open fire, gin and tonic, local wines, beer. There will be cabanossi snacks and fatherly wisdom dispensed by celebrity barman, Sorell Mayor Kerry Vincent. And of course, our regular stallholders will be offering locally grown and produced veggies, meats, seafood, bread, wines, plants, poultry, sweets, and farm products – with many Fathers Day specials. Plus coffee and hot food too! What better way to treat Dad than a day out in the country with fun activities, great food, and a pub in beautiful Bream Creek. See you at the Bream Creek Showgrounds, this Sunday 4 September, between 9am and 1pm.